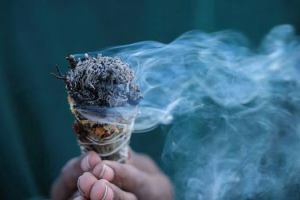 It is not just the Native American Indians that would use White Sage Smudge Sticks and this is a traditional and a spiritual ritual used by many cultures around the world. Yet the main purpose is the same that is to clear the negative energy that has collected around them or around the living area by doing so it helps to rebalance and renew the positive energy from the surrounds. 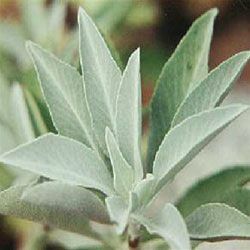 Under the Genius of Salvia, there are many different species of Sage, one may find including the ones mentioned above. Some species are mainly grown; as an ornamental flower, some for landscaping purposes due to the many varieties of colored flower they produce. 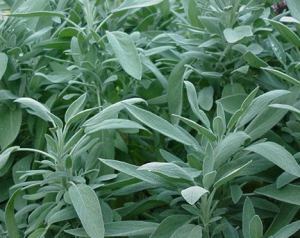 Some like the common Sage is used in cooking to enhance the flavors in many dishes. Among the many varieties of Sage, the Common Sage is the herb normally grown for the use of culinary dishes. However, their use does not stop at the cooking stage. There is more to this variety of Sage than meets the eye. Although, there is too much to discuss here so a separate article has been posted, showing the many other benefits of Sage. This will enable to focus more on the benefits and uses of White Sage below. You can find this separate article of Sage by selecting this link when you are ready. Sorry, I meant the other White Sage. That’s better. We will discuss what many, Native Americans, Healers of past and present along with many spiritual people have known this to be. It is interesting to note that the Genius name that is given, Salvia, is associated with Sage, especially White Sage. Salvia comes from the Latin name Salvus, which means to feel healthy, safe, unharmed or saved which connects well with the benefits and uses of White Sage, as we will find out now. Most commonly used to negate the negative energies within and around the body and area surrounds. For hundreds of years if not more, traditional ceremonies would use White Sage, both for clearing rituals as well as for personal use. 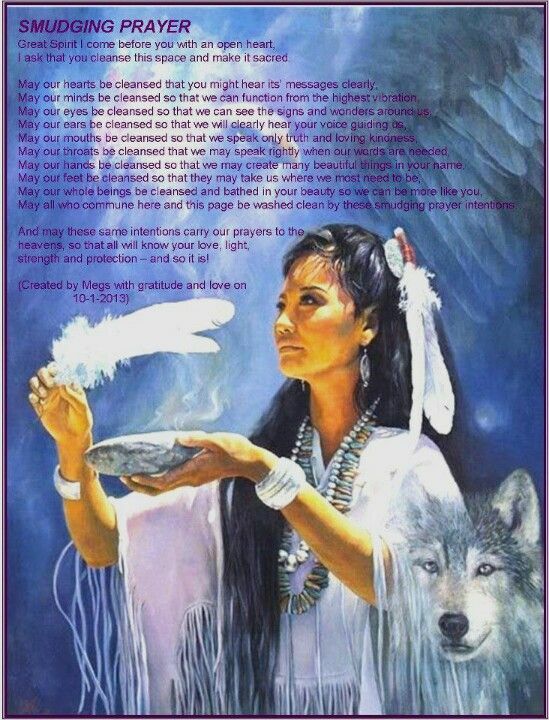 Many Native Americans along with Sharman’s around the world and those with spiritual interests who know and understand the importance of such benefits still use the cleansing rituals to this day. During times of struggle, stress, challenges and even confrontation, people would call upon the power of White Sage where it became a respected and honored friend. 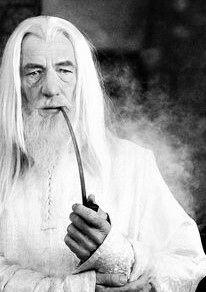 The best method is called smudging. This is where the White Sage leaves are bundled together to form smudge sticks. The negativity that you do want. Ions are molecules that due to atmospheric forces or as stated above environmental influences have either lost or gained an electron. The positive ions are molecules that have electrons missing which have shown to have a negative impact on the body and environment at all levels. An excess of positive ions can affect the environment as well as the human body both in the physical and spiritual sense. Consider the positive ions as a creator of dust that inhibits the body and the area around from moving freely and comfortably. In time, this dust creates havoc on the body immune system and gives the unwanted feeling of being within an area that you struggle to move around without stirring up the dust around you. Negative ions are charged molecules that have gained the electron. When negative ions attract and connect with the positive ions they become charged, therefore dissipate the unwanted energies positive ions have allowed to linger on. The negative ions become the dust collector allowing you the freedom to move as well as allowing you to breathe comfortably with ease. Have you ever felt that uplifting moment when after a period of dryness the rain comes along and changes the atmosphere around you? To the point, you feel relaxed and refreshed. Just ask any farmer during those drought seasons how it feels when the rain comes. What about when you are by the ocean. Have you felt that feeling of serenity and relaxed atmosphere watching and hearing the waves crashing down on the beach as it moves in and out? That is the example that negative ions can create which is why these are the only form of negative that you would want around you. Cleansing and clearing with White Sage helps to uplift the moods around the area and creates that relaxed atmosphere. The leaves of the White Sage are bundled and tied together to form Smudge Sticks. (Refer to diagram). This is the common practice performed and used by the Native Americans, Shamans, other healers and the many spiritual people of today. The White sage when burned produces negative ions as described further above. It not only becomes the dust collector in the physical but also on the spiritual level, aids in clearing away any unwanted energies lying around which create unnecessary feelings of negativity. This method is not only for ritual gatherings but can also be used on a personal level or around the home. Before you light the Smudge Stick is it best if the following setup is maintained. Considered by many, White Sage is sacred, as is the intention of the smudging you are about to perform. If you are cleansing, say the whole home (depending on the size of the home or area), one stick will be more than enough. Have a bowl ready to place the lit Sage in. Make sure the Bowl is heatproof and if you place it on the surface that any heat that may be generated from underneath the bowl, will not create any issues. In general, a smudging feather is normally used but you can also fan the smoke using your hand. Wear comfortable clothes and ensure that you are not wearing anything that can easily catch alight should any embers fall upon you. This would also include ensuring that if you have long hair it is away from when lighting the smudge stick. Common sense should be applied. Ensure that all windows and doors are closed and there is no draft. Before you light, the White Sage, ensure you have your intentions set in your mind first. This way you are giving a purpose for the Smudging and not just a regular clean up. When the stick or leaves start to smolder, place it in the bowl you have with you so you can safely carry it with you. Should you be doing some cleaning around the whole home, don’t forget to work on the entrance areas and when most traffic is around the home as well. The main aspect here is to use your intuition of what you feel is best. For other’s who may be uncomfortable with incantations, you can imagine the smoke taking away with it any negative energy from your life or the area smudged. 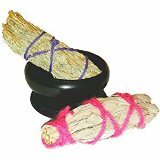 When you have cleared the space, allow the sage bundle to burn out or gently press it out. 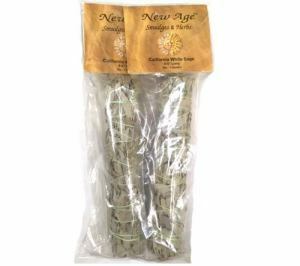 It is always best if you have a sage bundle to use along with loose leaves as well. You can find various sizes here should you have difficulty finding them in a store. Do you have your own method of clearing you would like to share with others to know? What about any incantations you may use? 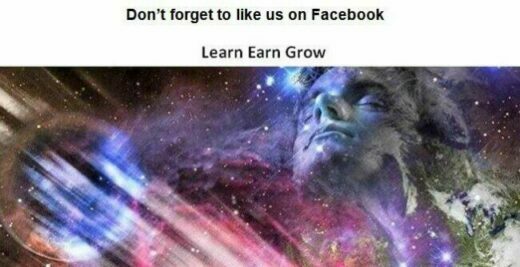 Perhaps you have some visualization techniques you wish to share that may help your fellow soul traveler.